Enjoy living in the wonderful town of Irvington in this wonderful home! 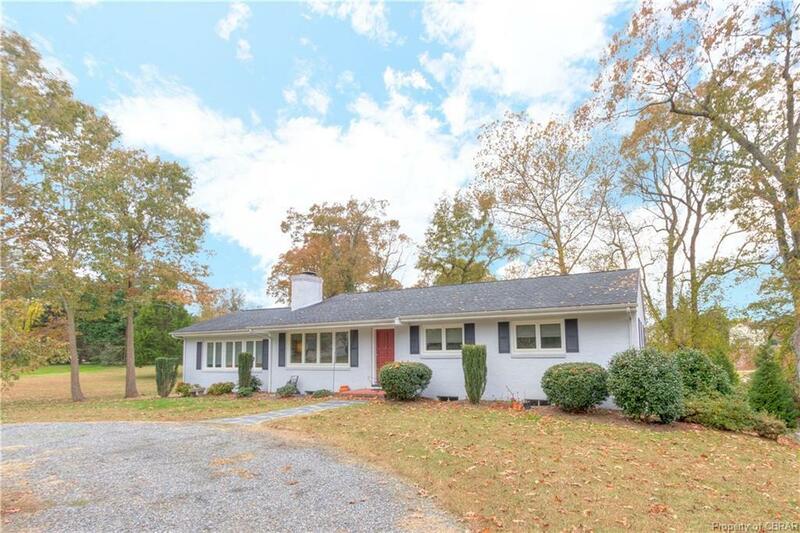 Located on the The Lane and in easy walking or golf cart distance to restaurants, coffee shops, the Tides Inn, Dog and Oyster Winery, boat ramps, Carter's Creek, marinas and Chesapeake Academy this home is truly special. The home has been updated and has an open floor plan. The kitchen features custom cabinets by Jim's, gas range, double ovens, stainless steel appliances, island with bar seating and recessed lighting. The great room has a breakfast area and is spacious and bright. The formal dining room has a fireplace and could be used as a family room. The master bedroom has space for a kind size bed, a walk-in closet and a large attached bathroom with a shower tub. There are two additional guest bedrooms, a full guest bath and powder room. The laundry room has a sink, cabinets for storage and room for an additional refrigerator. An additional small room would make a great office and is currently used for storage. The walkout basement is large and provides lots of storage! The large yard provide privacy and room to play! Directions: In Irvington Turn On Steamboat Rd. Turn Left On The Lane. See House On Right.